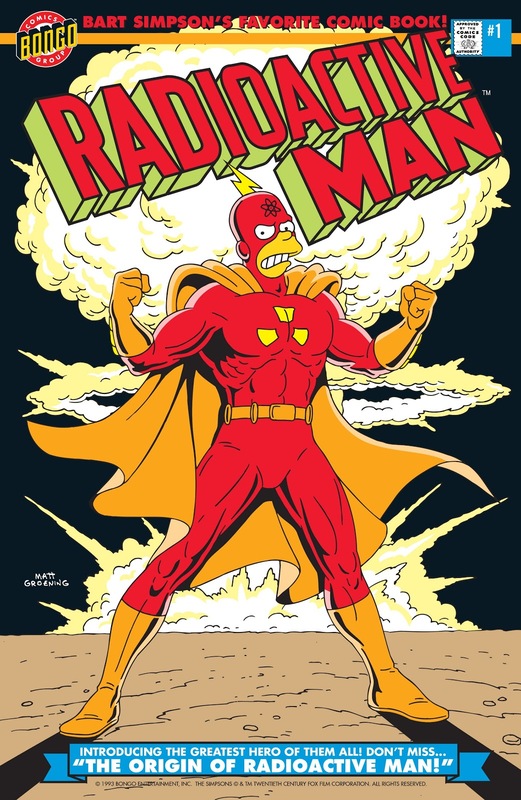 Radioactive Man is a comic book series featuring short stories centered on Radioactive Man, first published in the United States in January 1994 by Bongo Comics. 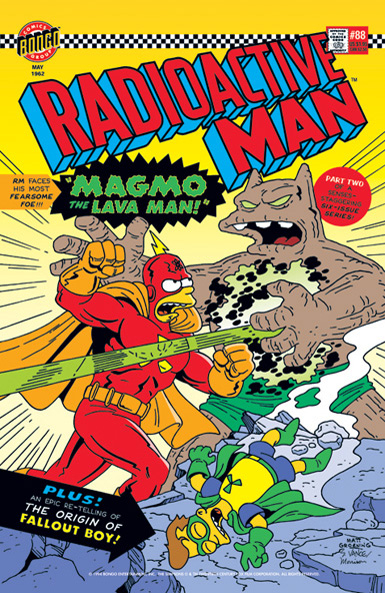 A Brain-Blasting Bongo Filler Page! See No Evil, Hear No Evil! 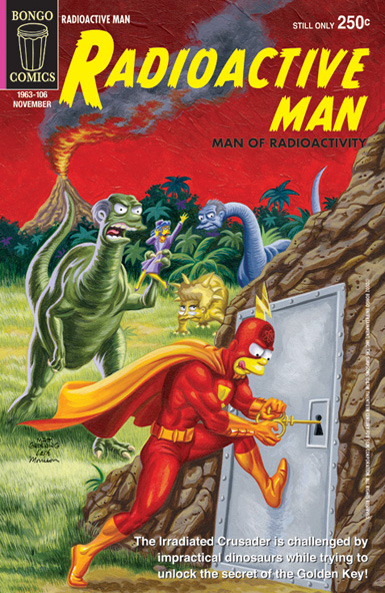 Radioactive Man 412 Dark Radioactive Man! 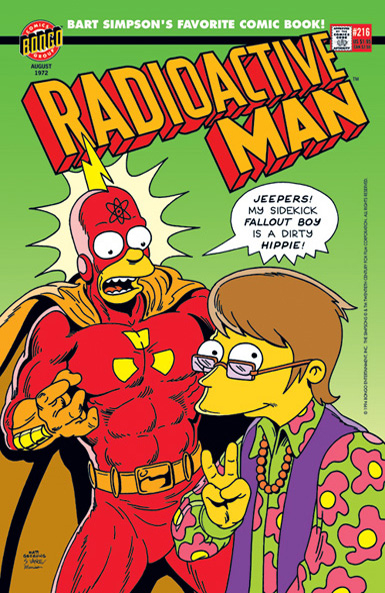 Radioactive Man 80pg. 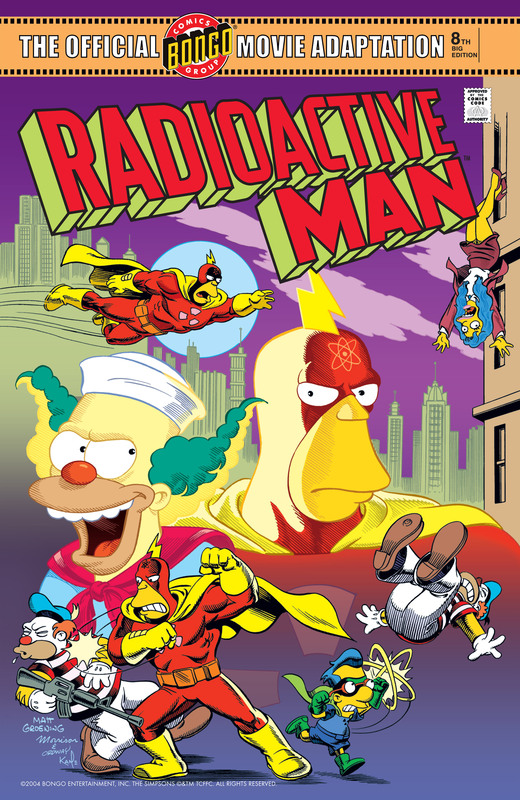 1 I Will Send You Prizes Like These Krusty Seed Co. 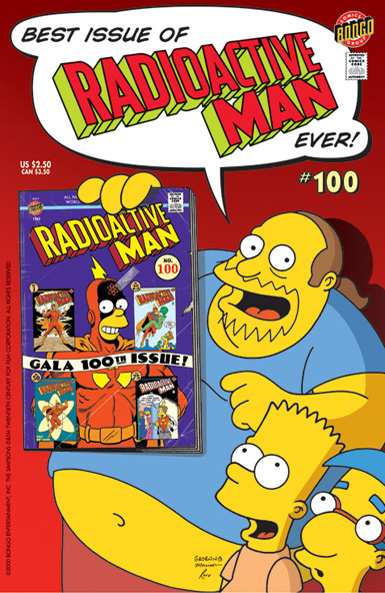 The 1,001 Faces of Radioactive Ape! 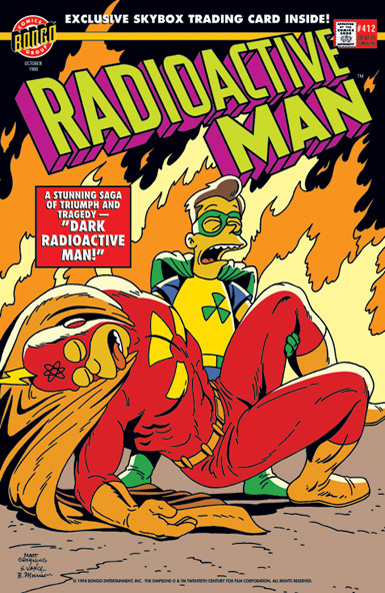 The Radioactive Man of 1995! 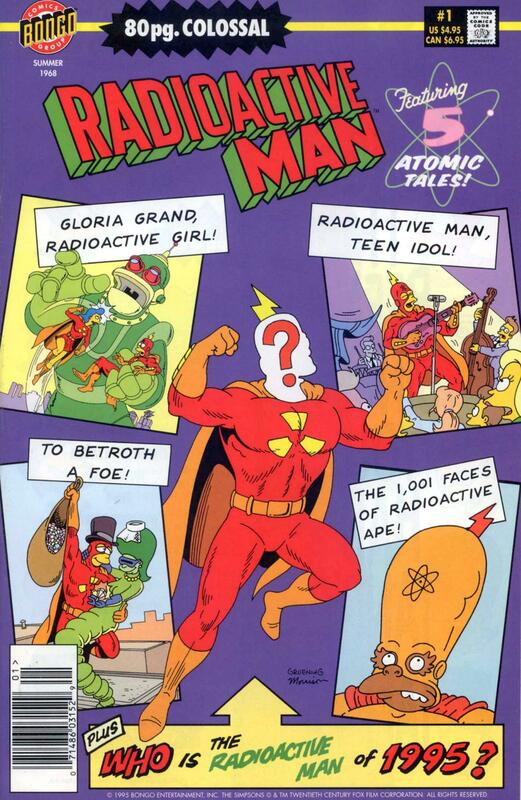 Radioactive Man 100 Comic Shop Sequence 1963 Sequence! 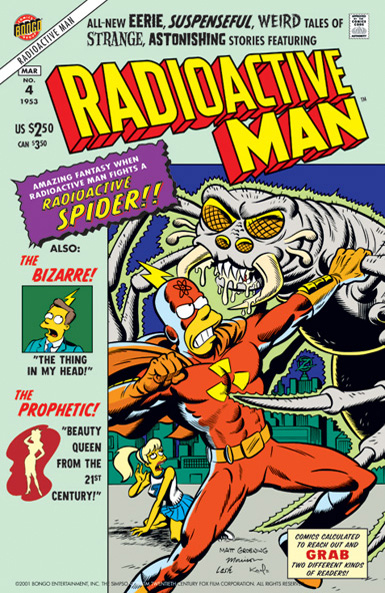 : Anomaly of the Automaton That Ran Amok! 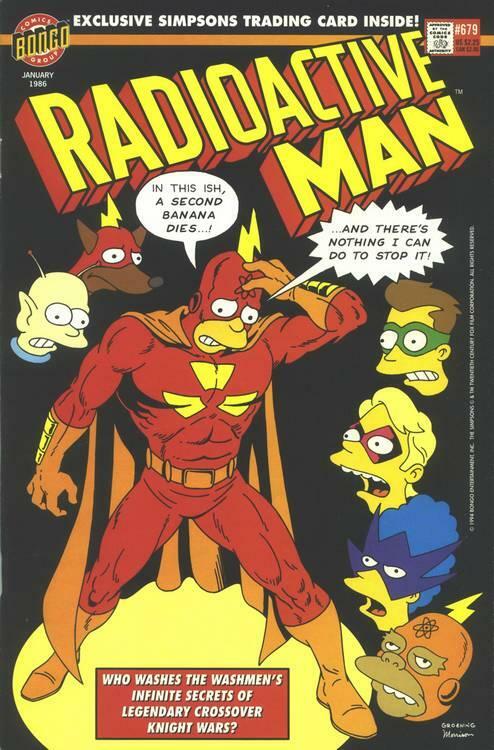 Radioactive Man 222 No One Gets Over the Underground! 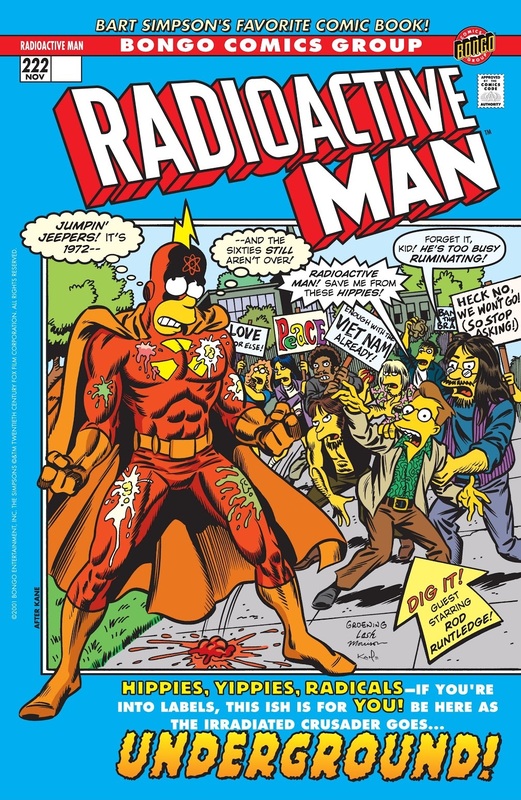 Radioactive Man 136 From Reinmania with Luv, Baby! 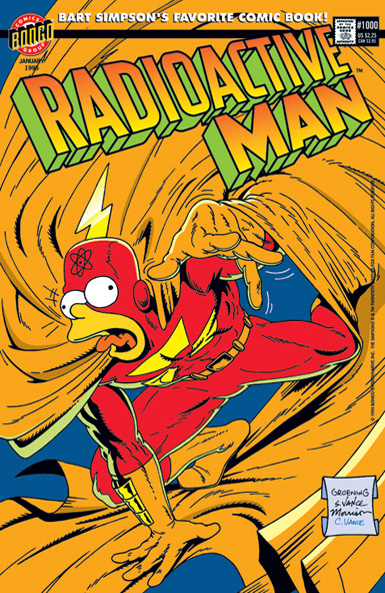 Radioactive Man 4 The Amazing Radioactive Spider! What's Worse Than Being a Skinny Girl? 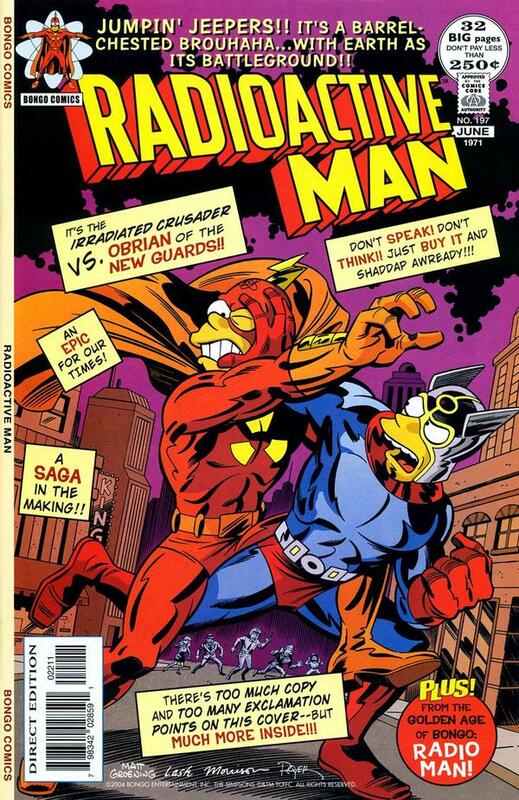 The Thing in My Head! 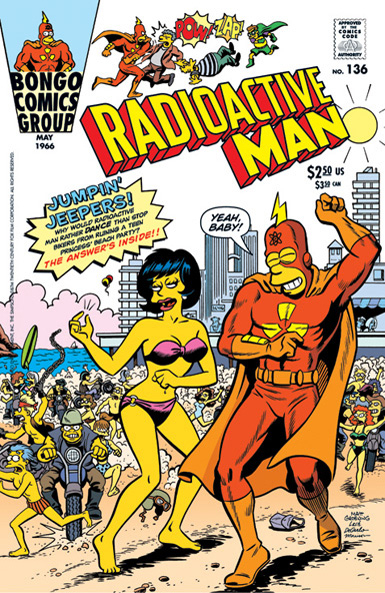 The Beauty Queen from the 21st Century! 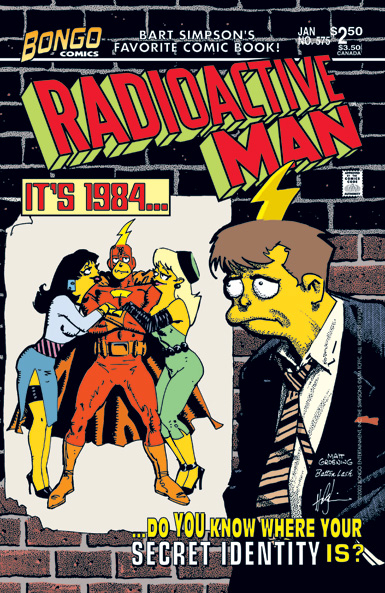 Radioactive Man 575 Don't Look Now, But It's 1984! Modified on March 3, 2018, at 09:17.